As the Harry Potter movies hit IMAX theaters once again the week of Oct. 13 in honor of Halloween, I’ve decided to make life easier for you and analytically (or emotionally) rank the best parts of this series. Spoilers ahead for those of you who haven’t experienced the magic of Harry Potter. It’s ironic to say that the last one is the best because that’s when it’s all over. However, hands down, this one is the best films of the series. After the darkness that had fallen over Hogwarts in Part 1 and most of Part 2, the heavy threat of death is finally lifted. We also learn that Professor Snape is actually a good guy! (Didn’t we know it all along in our hearts?) If you didn’t cry by the end of this movie, then you aren’t a real fan. Sirius Black enters our lives in this film and we come to love him. Also, Buckbeak survives along with Sirius! Harry learns more about his connection with the prisoner of Azkaban and frankly, the emotional connection and love is too much to handle. Harry Potter and his friends are coming to IMAX theaters this week. PHOTO VIA FLICKR. The Quidditch World Cup and the Triwizard Tournament are some of the biggest reasons why this film is so high up on this list. The maze is just too captivating. Even though we lose dear Cedric to Voldemort, at least we get to see the evolved version of Voldemort. This is our very first glimpse into the world of witchcraft and wizardry. You are lying if you didn’t feel like Harry when the entire movie was unfolding. This is the movie that made children dream about receiving a letter from Hogwarts. Professor Dolores Umbridge becomes headmaster and our life is in shambles. This is also when Harry learns about The Order and Dumbledore is accused of training an army against the Ministry of Magic. This part was gripping and heart-wrenching at the same time. This part broke a lot of hearts. Harry, Ron and Hermione leave us biting our nails through their adventures and encounters with the Death Eaters, Deathly Hallows and the destruction of the Horcruxes. Friendship is the key theme in this film. Despite Ron losing his temper and mind about wearing one of the Horcruxes, Harry and Hermione stay strong and loyal to him. This is when Harry learns two gravely important things: one, that he can speak Parseltongue and two, that he is an heir of Salazar Slytherin. The first horcrux, which is the diary, is found and destroyed. 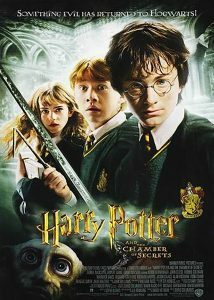 Harry gets trapped within the Chamber of Secrets and our hearts nearly popped out of our chests. Thankfully, Fawkes saved him and us. Draco Malfoy joins Lord Voldemort’s army and must carry out a deadly deed. Dumbledore and Harry learn about Voldemort’s horcruxes. Professor Snape kills Dumbledore (we hate him for the rest of the movie), until we find out that it was all part of a larger scheme. Also, Harry and Ginny get their whirlwind romance going. You guys should definitely check out the entire series at the theaters with enough popcorn and tissues to save your heart because you will be weeping throughout.